My name is Mark Conde, and I’m the chief-cook-and-bottle-washer here are Firepoint Creations. From time to time I like to let you know what’s new with our line of engraved and personalized gifts, and perhaps give you some ideas for particular holidays. Engraved gifts are always appreciated, but especially so when commemorating the achievement of graduation. As graduates transition to a new chapter in life, personalized gifts provide both a reflection of past experiences, but also create a unique and professional entry into a new stage of life. If you’re having a tough time deciding on the perfect gift idea, definitely think about a customized item that will truly make the gift extra special. Graduation day is certainly a huge milestone in the life of your loved one. A personalized picture frame is the perfect way to capture the memory of this momentous occasion with a personally crafted picture frame. Your loved one can look back and remember a day marked with emotion and sense of achievement. As your graduate moves on to college or enters the workforce a personalized writing instrument is a wonderful way to convey a professional image with a gift that reflects a personal touch. Engraving your graduates name on a stylish pen will show your graduate you took the time to show a personal touch with your gift. A personalized flash drive is a unique, yet practical gift that reflects the professional achievement of graduation. Engraving provides that personalized touch that serves as reminder of your graduate’s special day. There are endless options for providing a customized gift to your graduation. Items that reflect their likes and personality with custom features are always a welcome surprise. 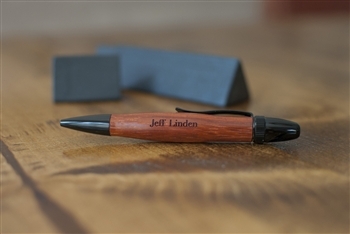 ← Father’s Day — Personalized! 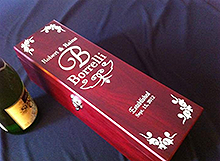 Shop For Engraved & Personalized Gifts!